A mystery: an unknown star, too faint to notice, suddenly expanded to a huge size, increasing in brightness to become one of the most luminous stars known. 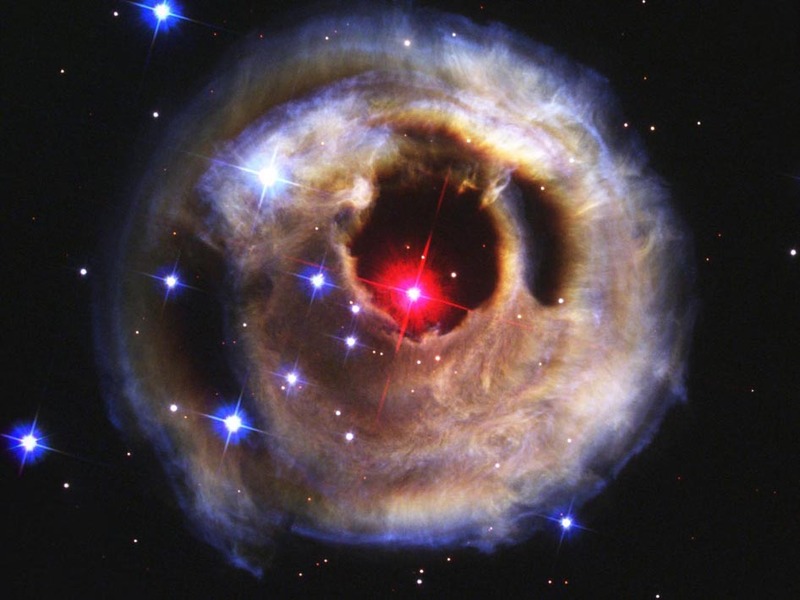 This star doesn’t even have a real name, just a “license plate” catalog number: V838 Monocerotis, indicating that it’s a not very important star in the constellation the Unicorn (Monoceros). However, a new paper has proposed the powerful flare could be explained by a well-accepted theory of binary star behavior, in which one star strips enough matter off the other until it suddenly grows to a huge size. These common envelope events (as they are known) could explain the V838 Monocerotis outburst, along with some other currently mysterious flares.